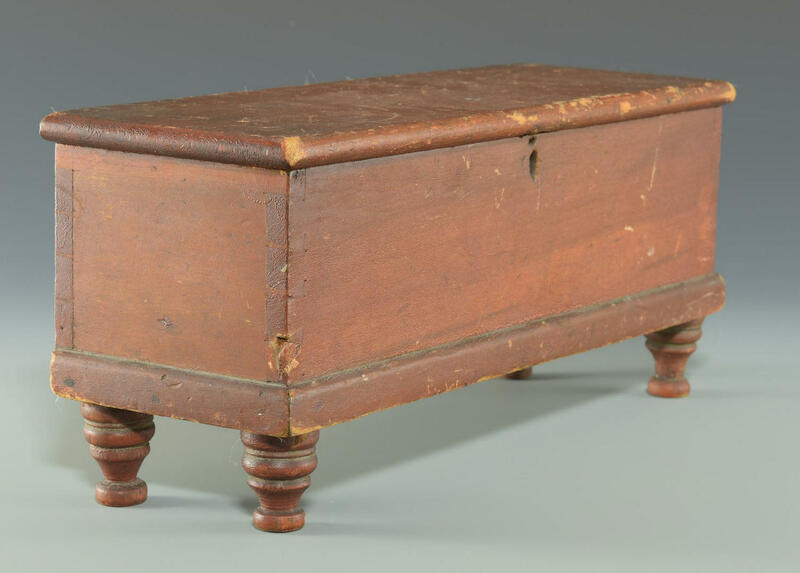 Miniature Sheraton blanket chest, poplar, most likely Mid-Atlantic, having red wash, dovetailed case, square nail construction to base and turned bun feet. 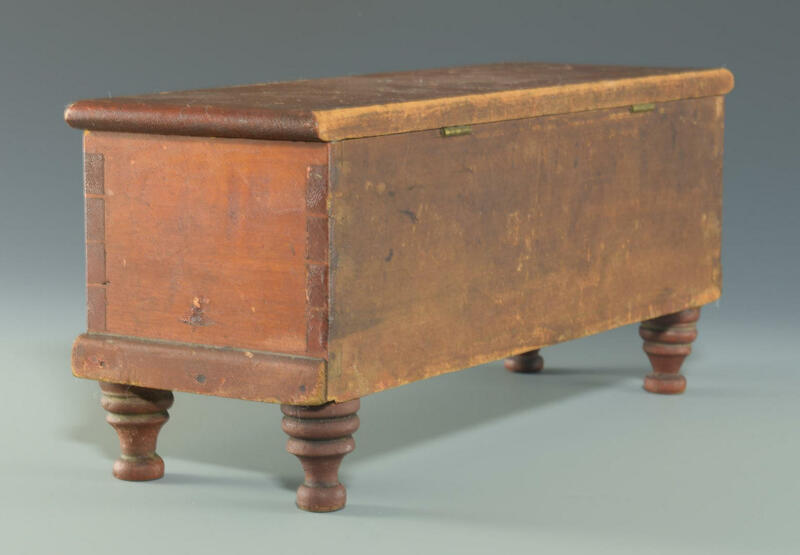 5-3/4" H x 13-1/2" L x 4-3/4" D. 2nd quarter 19th century. CONDITION: Scattered wear and abrasions, most noticeably to top, some to body. Hinges possibly later replacements. One foot appears to have been broken and reglued.